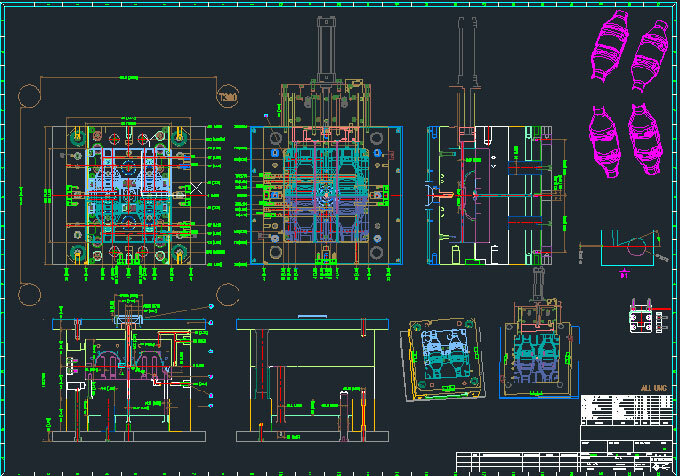 The five elements that injection moulding needs to meet is temperature, speed, pressure, position and time. These five factors determine the quality of injection moulded parts. And the above five factors are the key point of controlling qualified product quality. Temperature is the first step of injection moulding, the temperature can be divided into: drying temperature, the temperature of injection moulded parts material, the mould temperature, these are important factors. The drying temperature is to ensure that the polymer is dried in advance to ensure the moulding quality, is also to ensure the dryness and humidity of the polymer are in a certain limit. The material temperature is to ensure the normalization of the plasticization of the polymer, so that the filling and injection moulding are smoothly performed. 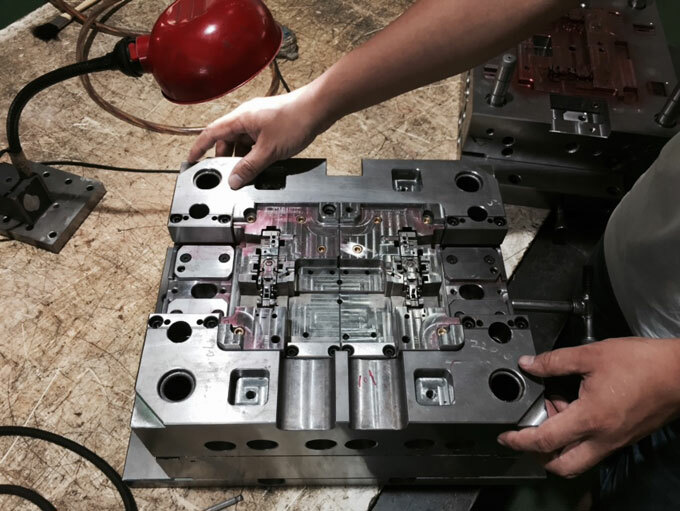 The temperature of injection mould is the important condition of consider in product size, appearance, and moulding cycle. Speed is divided into: injection speed, melt speed, loose and back speed, mould opening and closing speed, thimble forward and backward speed. The improve of injection speed will affect the increase of filling pressure. Increasing the injection speed can increase the flow length. High-speed injection is suitable for product of long process, controlling the product size when in low speed. Melt speed affect the plasticization ability, is the important parameters of plasticization quality. The higher the speed and the higher the melt temperature is, the stronger the plasticizing ability is. The loose and back speed is to reduce the specific volume of melt, to reduce the internal pressure of melting cavity to prevent its outflow. The speed of mould opening and closing is one of the important conditions for ensuring the production and operation of machine. The forward and backward speed of ejector is to ensure the successful demoulding of product, so as to the product won't deform and cracks. Pressure is divided into: injection pressure, maintaining pressure, back pressure, clamping pressure, mould protection pressure, eject pressure. The injection pressure is used to avoid the pressure loss of the melt from the nozzle, to runner, gate, cavity, which is to ensure that the cavity is filled up. The maintaining pressure is order to reduce the sticking, burst and curve of injection moulded parts due to the excessive injection pressure. Back pressure is to prevent the injection mould from being crushed due to the foreign matter in the mould under high-speed and high-pressure conditions. Eject pressure is to prevent the injection moulded parts from badness when demoulding. The position can be divided into: mould opening position, eject and back up stroke, measurement stroke, injection stroke, buffer volume. The position of mould opening is to ensure the normal operation of demoulding and taking parts. The eject and back up stroke have the protection action on partial spring resetting and eject limit. The measurement stroke is to ensure that there are enough plastic filling moulds to ensure the injection moulded product quality. Time is divided into: cooling time, sol time, drying time, cooling time, material melt time, injection moulding cycle time, injection time, maintaining pressure time. The injection moulded parts require a certain injection moulding cycle time, the injection time determines the size of injection moulded parts, the maintaining pressure time is to prevent the backflow of melt and, the cooling time ensures that the product is solidified to prevent deformation, the material melt time is to ensure that the melted material full up the cavity and core, the drying time is to ensure that the product won't being elongated and poor etc. 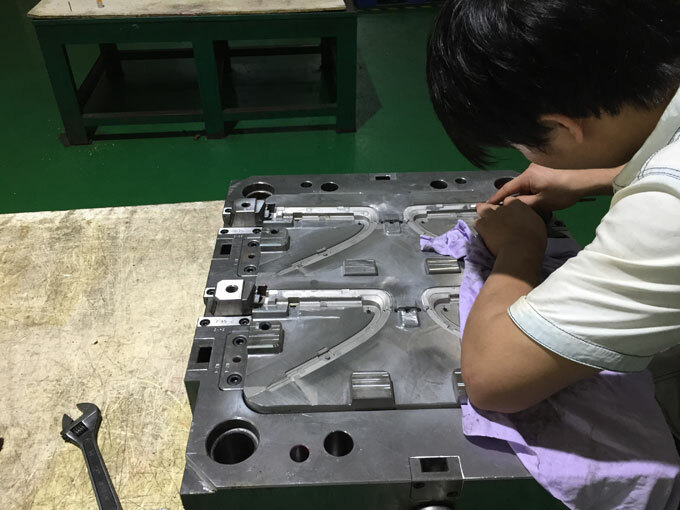 There are much badness in the injection moulding production, such as poor appearance, injection moulded parts damage, wave marks, spray marks, scratches, etc, which all of these is caused by above five factors.